You must have the full picture to have a chance to understand what is going on between Russia and “The West” in, for example, Ukraine. The book: “Full Spectrum Dominance” by F. William Engdahl, is one of four books which can give you the necessary backgrounds-information. Please read them on your own risk. The world will not be the same for you again after having read (and understood/believed) them. If sheer dollars and hardware were the sole criteria, the world would long ago have been a helpless vassal colony under US Full Spectrum Dominance. The extent of permanent US military bases over that eight-year period had expanded enormously from the Middle East to Central Asia to Afghanistan and Pakistan and across Africa. The Pentagon had deployed every weapon in its arsenal: raw military conquest in Iraq; ‘soft power’ regime change to pro-US dictatorships in former Soviet Republics, Ukraine and Georgia; and support of ‘failed states’ like Kosovo. 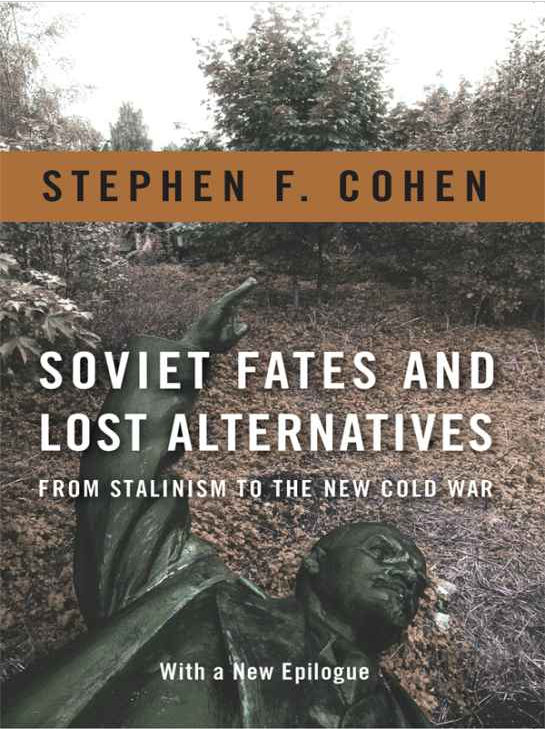 The strategic focus of that overwhelming US military buildup was the control of potential rivals on the Eurasian Continent, most directly, Russia and China. Kosovo, formerly part of Yugoslavia and then Serbia, was being made into a de facto NATO client state run by an internationally known drug dealer in order to provide the US military with unfettered control over the entire Middle East and the Balkans. In March 2009 Gates told an interviewer that the US missile program was in part to ‘defend Russia’ from possible Iranian missile attacks, a claim stretching the bounds even of Pentagon credibility. Engdahl is one of the important historians of our day that deeply analyzes all the geopolitical forces that are rarely if ever discussed in the media. 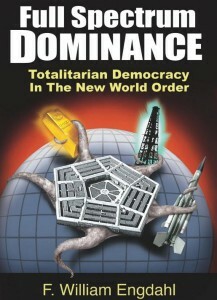 This book blew me away!It is a must read for every US citizen! F. William Ehgdahl has written another blckbuster expose of the American and Western establishments goal of world dominance thru the use of NGO's,( they do what the CIA did in the.. 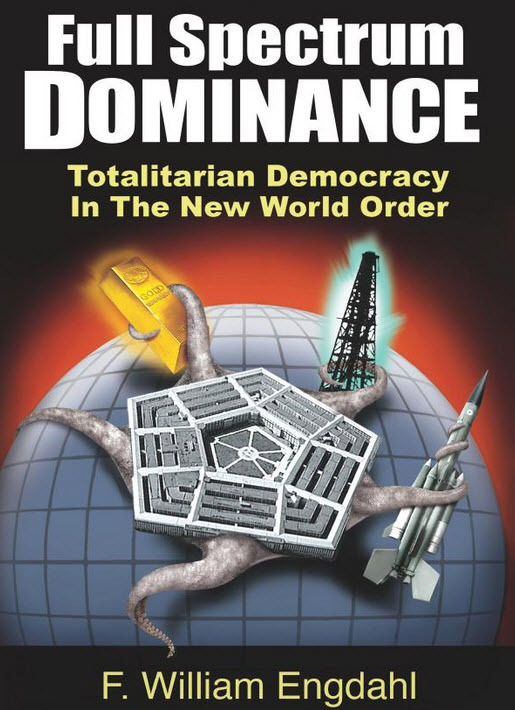 I started F. William Engdahl's new book, “Full Spectrum Dominance: Totalitarian Democracy in the New World Order,” this weekend and literally could not put it down. Click HERE or on the image to read more about this book.